Canadian softwood lumber producers are getting a temporary reprieve as a large portion of preliminary duties in place for four months have ended pending a final decision. Most lumber companies will pay 6.87 per cent in anti-dumping tariffs after a 19.88 rate for countervailing duties formally ended as of Saturday. Five producers singled out have paid duties between 9.89 and 30.88 per cent. All others paid 26.75 per cent. U.S. Secretary of Commerce Wilbur Ross announced late Monday that the Department of Commerce postponed the final determinations in the anti-dumping duty and countervailing duty investigations of imports of softwood lumber from Canada until no later than Nov. 14. "I remain hopeful that we can reach a negotiated solution that satisfies the concerns of all parties," Ross said in a statement. "This extension could provide the time needed to address the complex issues at hand and to reach an equitable and durable suspension agreement." Although countervailing duties formally came off in recent days, Canadian producers have been able to ship products south of the border without CVDs since Aug. 14 by delaying paperwork by up to 10 days, says lumber analyst Hamir Patel of CIBC World Markets. Quebec Premier Philippe Couillard said Monday that higher lumber prices have raised prices for American consumers buying new homes and hurt U.S., not Canadian, workers. "It will become more and more apparent that the most threatened jobs by these policies are not Canadian but American jobs in several states, notably in the construction sector," he told reporters after a meeting in Charlottetown between eastern Canadian premiers and New England governors. 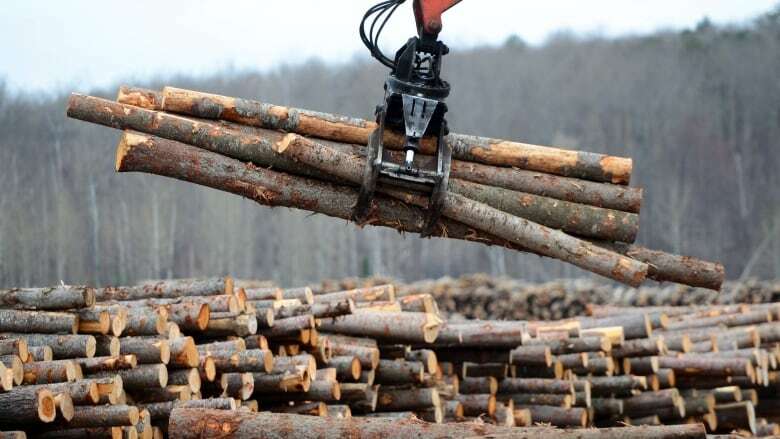 Canada: Litigation looming if there's no softwood deal with the U.S.
Lumber prices, which ran up in anticipation of export duties, have begun to soften partly due to the lowering of duties. Western SPF prices were $398 US per thousand board feet on Friday, said Madison's Lumber Reporter, which tracks prices. That's down four per cent from $414 US a month ago but up from $330 US a year ago. Lumber prices are typically weaker in the fall after the main home building season. "This is sort of this limbo period of 10 days or two weeks," said Madison's editor and publisher Keta Kosman. "It will be interesting to see what the new floor is now." Hurricane Harvey, which has battered Texas, and the impact from wildfires in Western Canada could be factors influencing lumber prices this year. Canada's share of the U.S. softwood lumber market fell to 23 per cent in July, down from 32 per cent in September 2015 before the expiry of the 2006 softwood lumber agreement, according to monthly Canadian government reports. The Conference Board of Canada has said U.S. softwood lumber duties paid at current export levels will cost Canadian producers $1.7 billion a year and cut about 2,200 jobs until a settlement is reached. Efforts to reach a new softwood lumber agreement appear to have been overtaken by the United States' efforts to negotiate an update to the North American Free Trade Agreement with Canada and Mexico. This story corrects an earlier version that said Friday's lumber price was US$385. In fact, it was US$398.